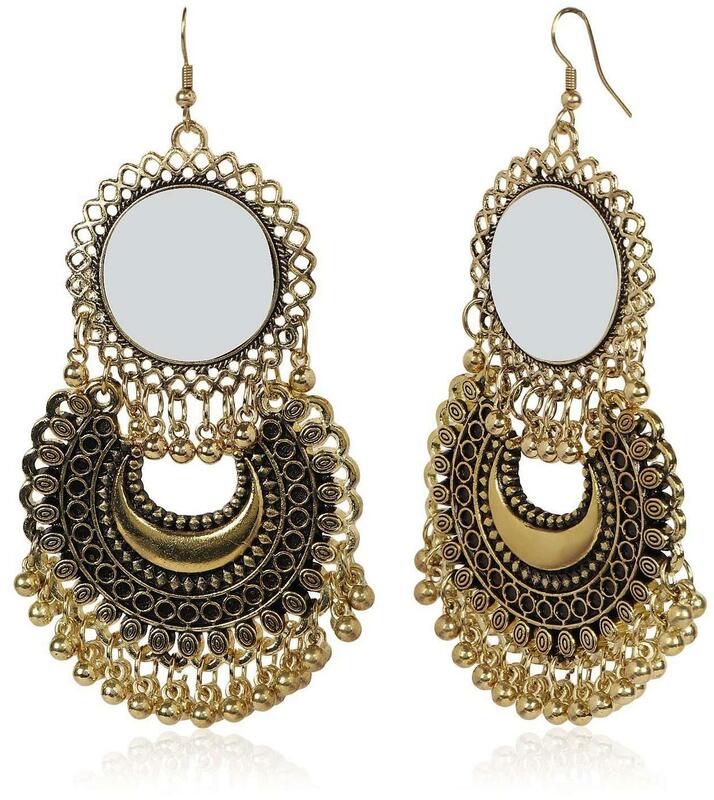 Urbanela presents Stylish and Trendy Earrings, perfect for all occasions with ethnic & traditional wear. Can also be a perfect gifting option for friends and dear ones.Nickel Free And Lead Free As Per International Standards That Makes It Very Skin Friendly. The Plating Is Non-Allergic And Safe. Avoid contact with chemicals such as perfumes, sprays and water. Wipe jewellery with a soft cotton cloth.